Update: Huawei has started rolling out Android 8.0.0 Oreo Beta program for more and more of its devices. This time the latest EMUI 8.0 is rolling out in China for devices such as Huawei Mate 8, Huawei P9, P9 Plus, Honor 8, Honor Note 8, and Honor 6X. See how to download the Oreo Beta for you device using the Huawei Oreo Beta Club registration link below or the Huawei Beta APK. Huawei Android 8.0 Oreo is the latest firmware update version from AOSP project. Every manufacturer is busy creating a test build for their smartphones. Some smartphone manufacturers who have declared the first Oreo builds include Samsung, OnePlus, Sony, and the newest entry Huawei. Lately, we have seen a lot of custom AOSP 8.0 Oreo and Lineage OS 15 ROMS for several Android phones. Now, Huawei is all set to bring official Android 8.0 Oreo starting with the Mate 9. Just so you know, this comes to us officially as a Beta testing version based on the latest Android 8.0 Oreo update. Though it is Beta, it does bring in some stunning features and a fresh new look from EMUI 6.0 for the users to enjoy. EMUI 6 is a new user interface from Huawei that puts forth a lot of customization options to the users. 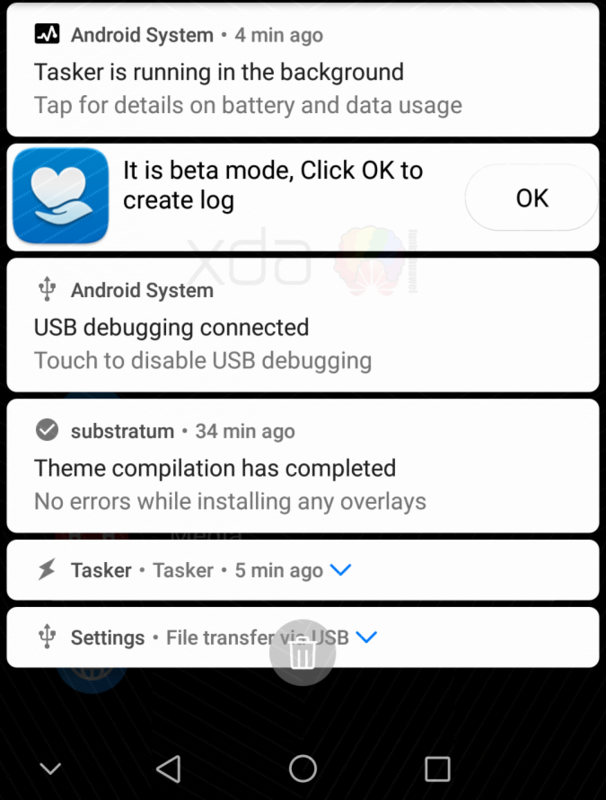 Oreo has built in support for Substratum theme engine. This update is based on Oreo’s SDK Level 26. The Linux kernel version is 4.4, updated from 4.1 in the Nougat-based EMUI 5. Also, it brings the security patch of September 2017. Users can avail this update from the official Beta Program App of Huawei. We have given the direct download link and an illustrative guide to how to use install or sign up for the Android Oreo for Huawei Mate 9. Currently, only the Mate 9 can be signed up for the Oreo Beta program. The manufacturer may soon release the Oreo Beta update for other smartphones like Huawei P10, P9, Mate 10, Mate 8, and much more. Read: How to root Oreo? The beta firmware build is really bringing forth promising features to the Huawei Mate 9. Let’s see what are those. Basic features: Basic features such as picture-in-picture mode support, the strict background app limitations, notification channels, and App running in the background notification. Huawei Notification channels: These notification channels do not need any 3rd party App to bring Notification Control For Apps. Screen Resolution: It enables changing between two different screen resolutions. 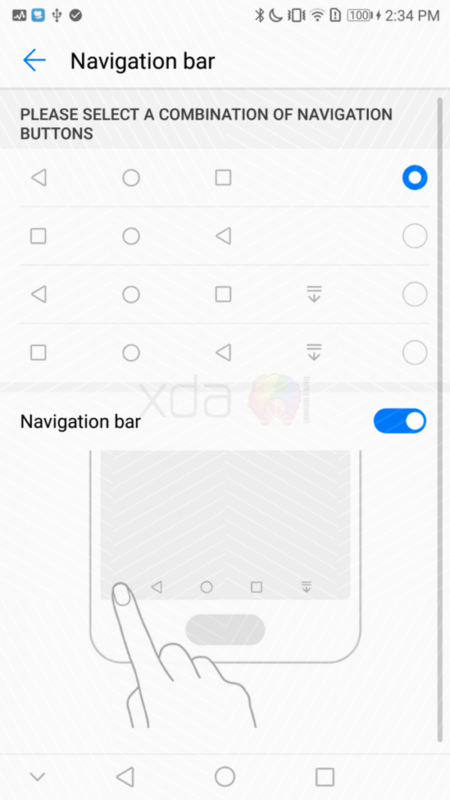 Navigation Bar Hider: The new button to temporarily hide the navigation bar. You can again bring it back by swiping up from the bottom. 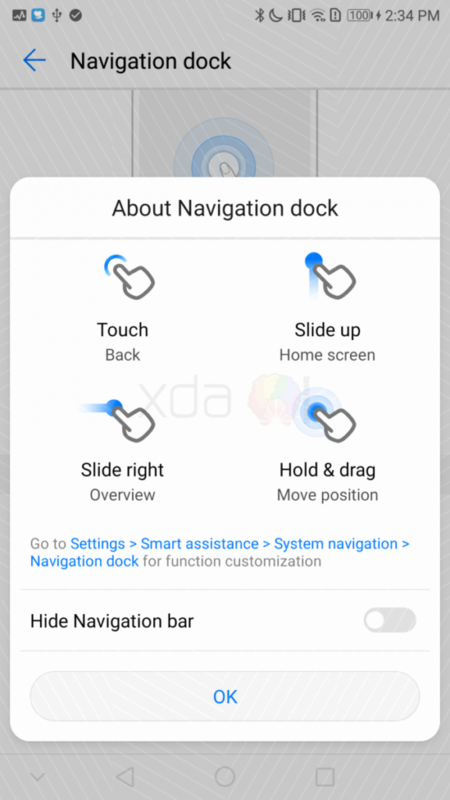 Navigation Dock: Uses gesture controls such as sliding up to go home, slide right for recent App, and touch to go back etc. Substratum Support: Due to Overlay Manager Service (OMS) commits of Sony to AOSP this is finally available in a fully working mode in Android 8.0 Oreo. Mostly in Huawei devices, beta versions software version are not mentioned to avoid leaking of information. But developers at XDA successfully found out the firmware info by digging up the build.prop file. Here take a look for yourself. The security patch is of latest May 2018 Android Security Patch. The firmware is based on Android 8.0 Oreo. How to register for Huawei Oreo Beta program on any device? The Huawei’s Beta program has only started in the regions of China and the Chinese Huawei variants. For you to enjoy EMUI 8.0 on your global variants, you may have to wait a while. When the Beta is live, you will be able to get the OTA updates from below registration link. The first step: Register beta account beta account Here is the Registration link for Huawei Beta Club. It is recommended to sign up with your mobile phone number. That way you can easily retrieve it after forgetting your account. If already signed up, login. Once the registration is complete, verify whether the login is successful. In the second step , you must fill in the polling forum to register for the beta activity. How to sign up for Hauwei’s EMUI 8.0 Oreo Beta Testing program? Here we are illustrating the exact steps You need to follow after You download the above App for Beta program. Here we are providing the direct download link to download the Beta Program. Step-1 After downloading the App, generate a new HW ID using your cell phone number/e-mail address. Step-3 Now that you are using the Beta version, if you face any trouble or bugs etc, you can report the same in details by following the below steps. Therefore, enjoy Android Oreo for Huawei Mate 9 and enjoy the Beta version till the stable version rolls out. This comes with loads of features that will shape up Huawei Mate 9 as the next big thing. So, grab it, install and enjoy. Also, keep yourself tuned with AndroidSage for all the latest updates on Huawei Mate 9 and Android 8.0 Oreo. “Agree” dumps me out (login error) and will not allow me to proceed.